Thanks for stopping by! 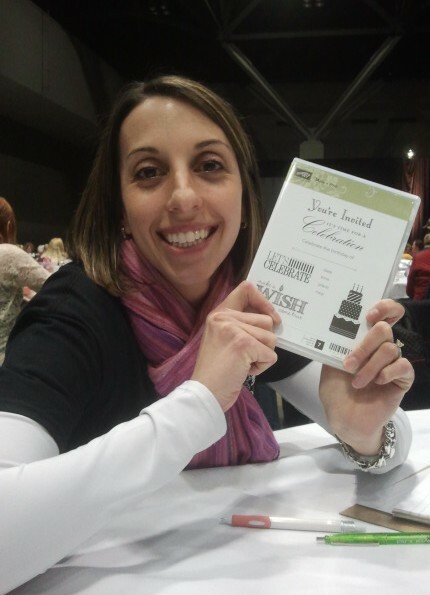 My name is Lauren Corday Winemiller, and I LOVE stamping in Mid-Missouri (aka…Mid-MO)! I have been a Stampin’Up! Demonstrator for seven years and counting! How I Got Started: My mother-in-law invited me to my first Stampin’Up! workshop and I was hooked immediately. It was a fun hobby, and I was so excited (and proud) to send out my very own hand-stamped Christmas cards that winter! Let’s just say they weren’t the “prettiest” cards, but I loved every minute of the creative process. Purchasing the Starter Kit was a no-brainer! If nothing else, I was going to get a great deal (and future discount) on the products I was already buying! Looking back, I have absolutely NO regrets! I have met incredible people and formed amazing friendships–one of the priceless perks of Stampin’Up! Why I Stamp: I am a busy mom of three, and Stampin’Up! is a great excuse for a little “Me Time” 🙂 My kids are regulars in my stamp room, and it’s been a fun way for us to express our creativity together. My hubby recently completed our basement remodel, and you can see pictures of my new stampin’ space HERE and HERE. My Background: I LOVE teaching! I attended the University of Missouri-Columbia and received my BS in Secondary Education with a minor in Business. I then went on to complete my Masters Degree in Educational Guidance and Counseling from Lincoln University. I taught business education classes for nine years at Jefferson City High School, and I am currently a counselor at our 9th grade building. I am the proud leader of the Crafty Crew and have a great team of stampers who represent all aspects of crafting. My Crew includes hobby demos, business builders, digital divas, and craft enthusiasts alike! Come Stamp With Me: My stamp events are open to ALL stampers, and I’d love the opportunity to stamp with you! Here’s a list of my Upcoming Events. Feel free to contact me at midmostamping@gmail.com with any questions you may have. Have a Fabulous Day and Happy Stamping!!! Hi Carol! Thanks for your message! Thanks again for stopping by and please feel free to case-away!